About – Dr. James Brewer, M.D. Dr. Brewer grew up in Santa Barbara and attended Cate School in Carpinteria for high school. He attended UCLA for his undergraduate education, and in 1996 graduated with his M.D. from Hahnemann Medical University (now Drexel University Medical College) in Philadelphia, PA. He returned to California for a dual Pediatrics and Internal Medicine residency at the University of Southern California LAC+USC Medical Center in Los Angeles. Upon completion of the program, he became double board-certified in Pediatrics and Internal Medicine. He has been in private practice as a pediatrician since 2002. Dr. Brewer and his wife have three daughters (ages 20, 17 and 15). In his free time, Dr. Brewer enjoys playing tennis, surfing, reading and spending time with his family. Pediatric primary care has been Dr. Brewer’s lifelong purpose and mission, ever since he was a young boy, watching his father (also a pediatrician) do his job. He considers it both a privilege and joy to be able to practice medicine and help keep families thriving every day. Dr. Brewer is board-certified by the American Board of Pediatrics and licensed by the California Medical Board. He is a Fellow of the American Academy of Pediatrics (AAP). He is also a member of the California Medical Association (CMA), American Medical Association (AMA) and Santa Barbara County Medical Society. He is affiliated with hospitals in the local area, including Santa Barbara Cottage Hospital and Goleta Valley Hospital in Santa Barbara. “Thank you so much for your kindness and support. We sincerely appreciate your assistance and professional courtesy” –C.S. “Thank you so much for your guidance and wisdom.” –K.R. “I highly recommend Dr. 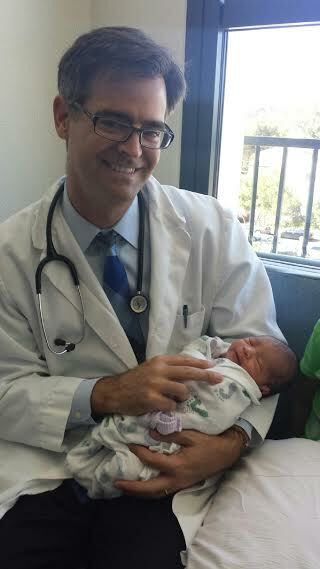 Brewer to any parent looking for, without a doubt, the best pediatrician in town.” –A.O. “My experience with Dr. Brewer has been nothing but positive. Highly recommend.” –E. P.
“Thank you for your years of great care and for always being understanding when we were over-worried first-time parents. We hope we find a doctor as kind as you in [our new town]” –J.E. “Dr. Brewer is an excellent pediatrician who also serves low income families. The entire local community benefits from his practice” –A.O. “He is very understanding, explaining things very well and has patience with kids. I highly recommend him. –C.G. “Highly recommend Dr. Brewer. He’s really good with all 3 of my kids…He’s really good at calling back when you call and leave a message or think you might have a small emergency.” –L.S. “My kids and I love Dr. Brewer… will never find a doctor like him.” — J. C.
“Dr. James Brewer has been my children’s pediatrician for over 12 years. He has a calm presence and my children have always been happy to have him as their doctor.” –P. S.